Welcome to "WGBS TV Live!" "WGBS TV Live!" is a weekly live show brought to you by the Superman Homepage. "WGBS TV Live! ", hosted by Steve Younis and Michael Bailey, is broadcast every week for Superman fans to come chat about the Man of Steel. The one-hour show goes live every Tuesday night at 7.30pm PT (U.S. time). During the live video you can use Skype to chat with us live "on air". Just search for "Superman Homepage" on Skype and send us a message saying you'd like to be a caller on our show. Subscribe via iTunes or your favorite Podcatcher. You can watch past episodes via YouTube. "WGBS TV Live!" also features a monthly "Super Secret Sound-Byte" competition where we play a small sound-byte from somewhere in the world of Superman and it's your job to try and work out exactly where it's from. Once you've heard the sound-byte simply use the "Super Secret Sound-Byte" entry form to submit your answer. The "Big Question" is a topical question asked during "WGBS TV Live! ", and you're invited to have your say and submit your answer using the Big Q entry form. "Radio KAL Live!" 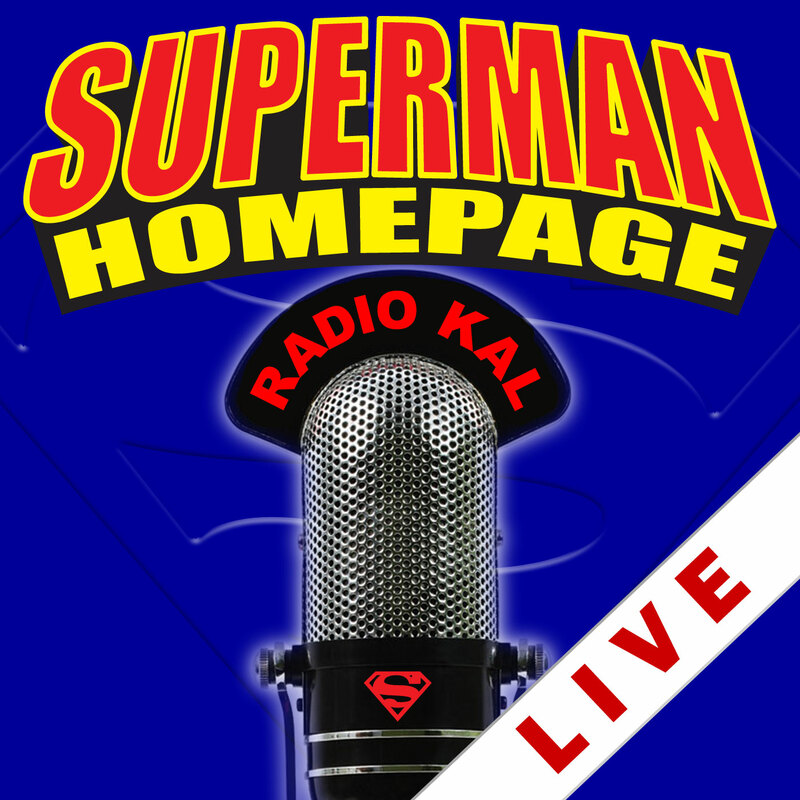 was a weekly live internet radio show by the Superman Homepage. "Radio KAL Live!" was broadcast every week for Superman fans to come chat "on air" about the Man of Steel, before it was changed into a Facebook Live show in February 2017. Some of the special guests we've interviewed on "Radio KAL Live!" include Jack O'Halloran (actor), James Konicek (voice actor), Marc Tyler Nobleman (author), Larry Thomas Ward (author), Rick Bowers (author), Jeff Trexler (copyright expert), Larry Tye (author), Jerry Ordway (comic book writer), Robb Pratt (animator), Elliot S! Maggin (comic book writer), Jim Martens (Smallville SuperFest), Jeph Loeb (comic book writer), and many more.